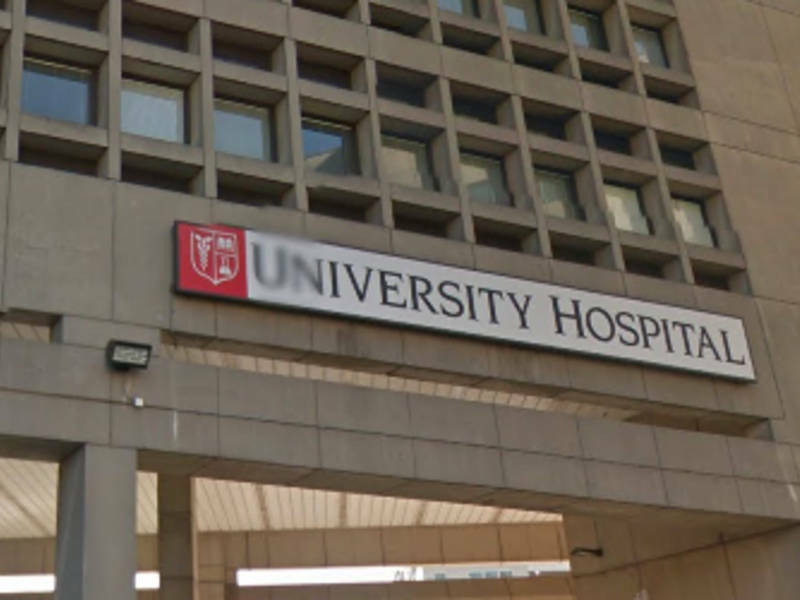 NEWARK, NJ – Two premature babies died last week after contracting a bacterial infection in the Neonatal Intensive Care Unit at Newark University Hospital. A third baby died last month after catching the same bacteria in the hospital, health officials said Tuesday. Due to other medical issues related to premature birth, the bacterial infection may not have been the cause of death, said officials from the New Jersey Department of Health (DOH). Bacteria, A. baumannii, causes various diseases ranging from pneumonia to serious infections of blood or wounds. Symptoms vary and usually pose "very little risk to healthy people," but people with weakened immune systems, chronic lung disease, or diabetes may be vulnerable, according to the CDC. The hospital's infection control program had not been made aware of the two recent deaths in infants until staff was contacted by representatives of the hospital. State Monday, according to the DOH. "We have worked diligently since the discovery of the bacterium Acinetobacter baumannii in our Neonatal Intensive Care Unit (NICU) to control the outbreak and no new cases have been recorded since October. We continue to strengthen the appropriate procedures and protocols with our team. " DOH officials said that they had learned of the existence of a "bacterial epidemic" at the university hospital on October 1, when two cases of A. Baumannii had been confirmed at the NICU. Two other cases were confirmed by laboratory tests later in October. On October 25, the Ministry of Health announced that one of the children had been transferred to another facility and died at the end of September. Death occurred before the department was informed of infections at the intensive care unit of the Newark hospital, officials said. "Due to other aggravating medical factors, the exact cause of death is still under investigation," say DOH officials. Mark Wade, Director of Wellness Community and Wellness Community of Newark, said the bacteria did not pose a risk to local residents. "Unfortunately, the infant had a variety of other medical conditions," said Wade. "Acinetobacter is an infection contracted in the hospital, without transmission in the community, but do not worry, this poses no risk for the community of Newark." On Monday, the DOH learned that two more infected children have died. The fourth child was released at the end of last month, officials said. No new infections at the NICU have been confirmed at the University Hospital since October. However, "major deficiencies in infection control" were discovered during an inspection last month, officials said. On October 25, the department ordered a directed correction plan that required the university hospital to hire a certified full-time infection prevention practitioner to guide the correction efforts. The complete correction plan can be seen here. A Ministry of Health investigation team is investigating hospital-internal notification policies, governance and other factors related to the reporting of case fatalities during an outbreak in progress, state officials said. MAYOR BARAKA: "IT IS URGENTLY NEED TO REVISE"
"The death of three premature carriers of a bacterium Acinetobacter and the fourth infection, all treated at the University Hospital, cruelly recall that a redesign of the quality of care and hospital leadership is urgently needed.Newark Department of Health and Wellness will work with the New Jersey State Department of Health to continue to monitor the situation in this unit. "In July, Governor Murphy acted quickly and decisively by appointing a monitor at the University Hospital, and today additional measures are needed." The hospital is essential for the provision of medical care. health to Newark residents, and I am very concerned about the quality of care provided.inability of leaders to abide by the Newark agreements negotiated during the creation of the hospital, their insensitivity to the opinions of residents, their attempt to reduce the number of pediatric beds without consulting me or the governor, and the failure score they received at their Leapfrog Group Skill Level. "The time has come for the State of New Jersey and the community of Newark to collaborate on a new direction for the University Hospital. "The hospital must be more attentive to the needs of the clients it serves and meet its needs.This requires increased community involvement with new leaders, including a new board with adequate representation from Newark residents and a new board. new president / CEO with a history of community sensitivity. "A federal and state investment is needed to enable the University Hospital to become the leading university hospital of tomorrow, including a renovated emergency room, a world-class trauma center and a state-of-the-art hospital. more outpatient clinics to meet the underserved medical needs of the people of Newark. "In 1968, state governments and the federal government negotiated a comprehensive pact with the people of Newark to create a world-class medical facility with ongoing involvement and monitoring of the community. this promise. "